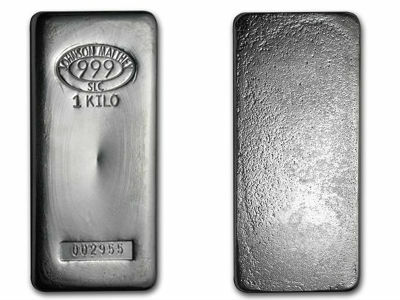 1Kg silver bars are a great compromise between the handy size of 10oz bars, and the cost savings of 100oz bars. 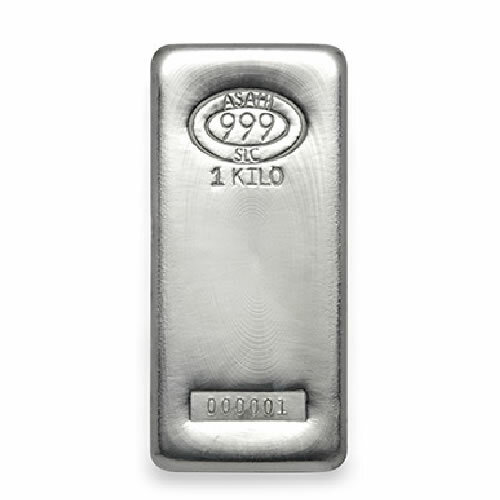 These bars are 99.9% pure, and are always in high demand due to being of the rarer poured style, and being sourced from an internationally recognised refiner. Originally produced by world famous refiner Johnson Matthey, their production was taken over by Asahi. 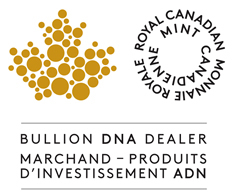 Bars are all identical, except some bear the Johnson Matthey name, and some bear the Asahi name.